Healthfinder.gov, a government health information website launched it’s Be Healthy Your Way Challenge on January 3, 2012. Each week you can visit their Facebook Page where they offer a new challenge for you to get healthier, one small step at a time. Their Facebook Community was put together by the U.S. Department of Health and Human Services (HHS) Office of Disease Prevention and Health Promotion. If your New Year’s Resolution this year is to get healthier I encourage you to like healthfinder.gov on Facebook and join in on their health and wellness challenge. 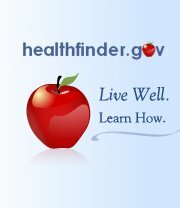 If you are looking for health and wellness advice for yourself or your family you can also visit my healthfinder at healthfinder.gov.